A cluster of triangular fronds create a bushy, full arrangement. 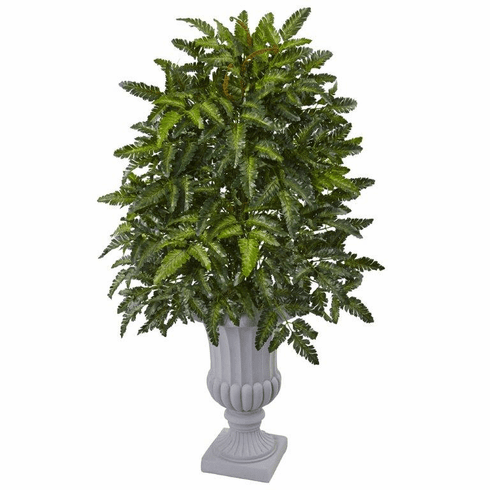 This Bracken Fern is a luscious greeting to your guests in a lovely entrance way. The mixture of two-toned leaves with light brown twigs give a natural depth to the arrangement. Paired with an elegant grey, antique Greek style urn for a tasteful accent to this natural beauty.